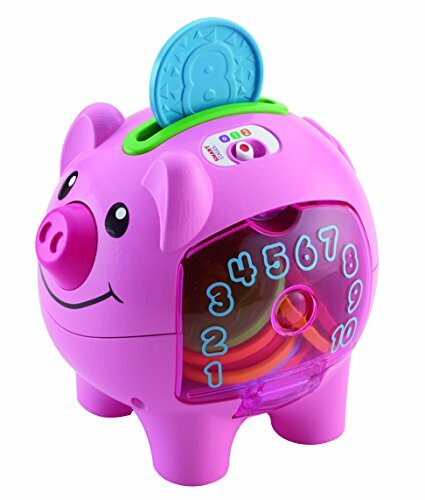 This piggy bank introduces baby to counting, colours, French and more through music, silly sounds and phrases. 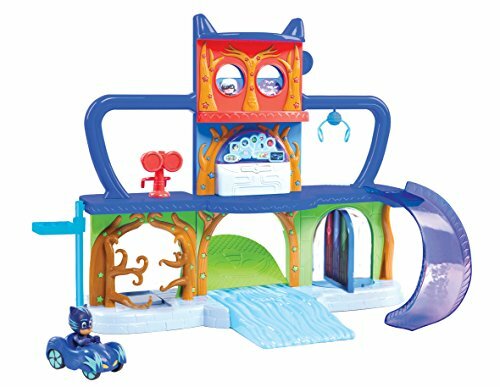 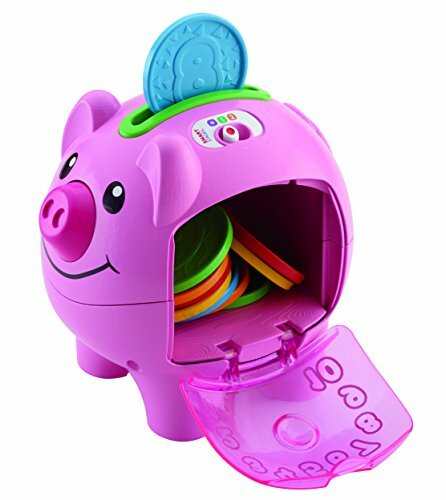 With 10 colourful coins to drop into the piggy bank’s back and a door for put-and-take play, it’s a toy with lots of exploration. 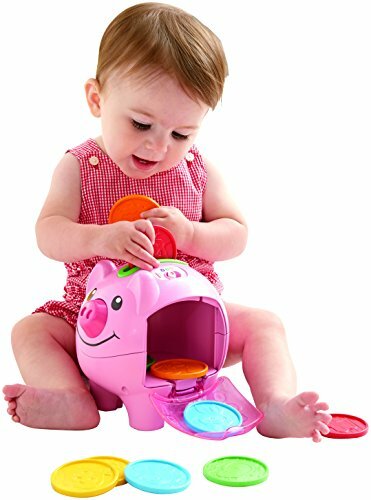 Baby can press piggy’s nose to hear musical responses and sing-along songs, too. 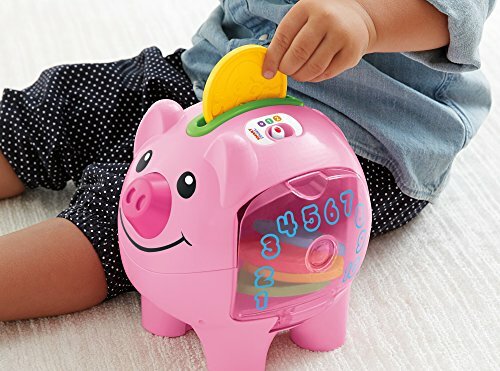 Put coins in, take them out, press the silly piggy’s snout baby will be giggling all the way to the bank. 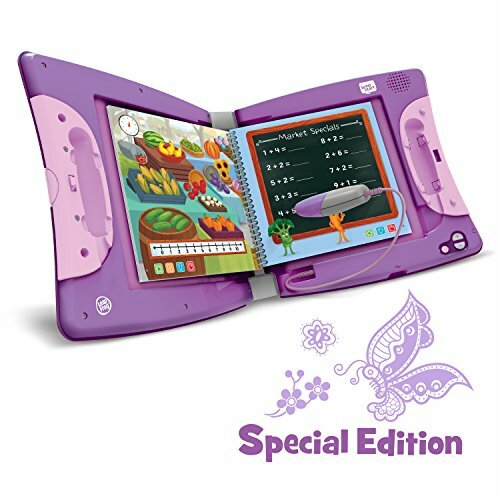 Every baby develops at their own pace and Smart Stages™ gives you the ability to select the stage that s best for your child! 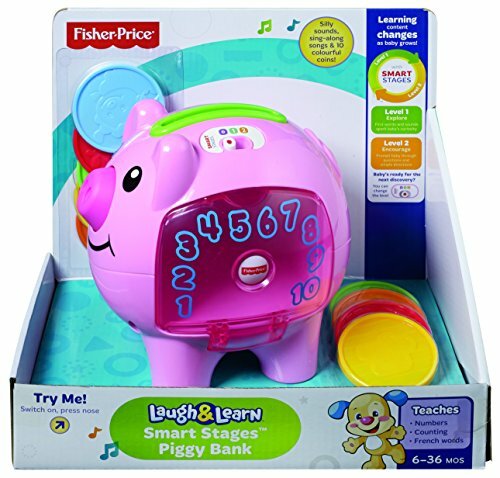 There are a variety of developmentally appropriate songs, phrases and sounds within two levels of play – just slide the switch to choose the right one. 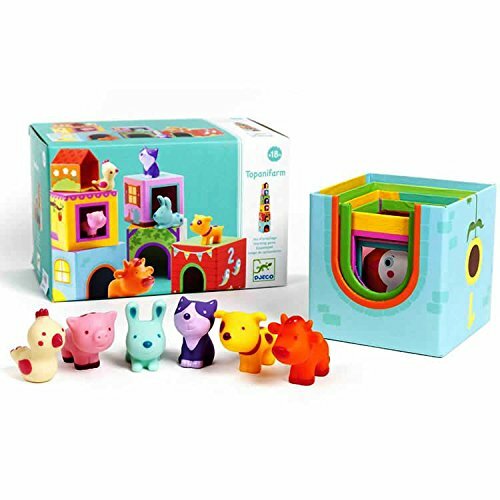 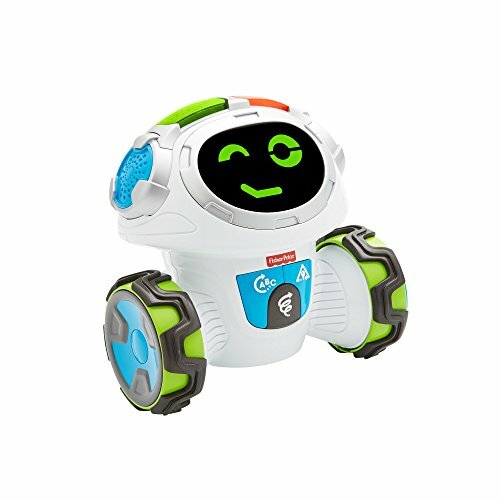 Smart Stages™ technology – Level 1 Explore 6 months + – first words and sounds spark baby s curiosity. 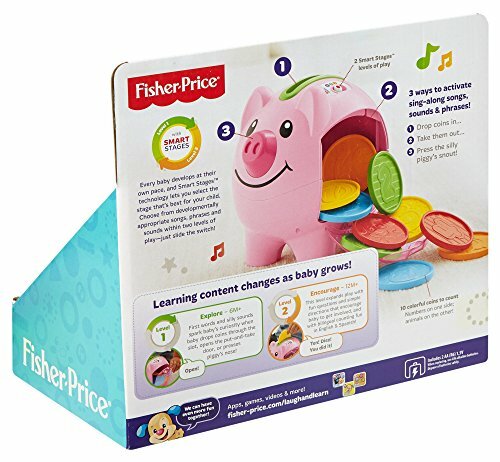 Level 2 – Encourage 12 months+ – prompt baby through questions and simple directions.